On 21st February 2018, Google AdSense launched the its most awaiting new feature called ‘Auto Ads‘. You will find the detailed information on Auto Ads in below article. If you’re making money from online then you’ll be aware of the term ‘Google AdSense‘. For us, it’s a first and primary way for making money from online. You will get the complete information about Google AdSense at this article. In AdSense, factors like Ad Placement, Ad Optimization, Ad types etc plays an important role. In fact these factors only determines your Google AdSense earnings. If you want to earn more money from Google AdSense then you need to pay attention to them. Of course, the person who is aware of these optimization techniques makes more money from the Google AdSense account. 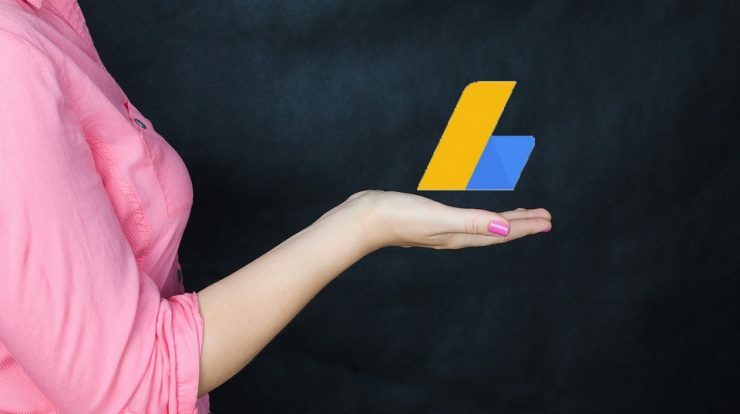 But now it has become the biggest concerns for the AdSense publishers because these activities consumes your lots of time and still does not guaranteed any fixed income to you. It is very cumbersome to optimize these factors to make money from Google AdSense. 1.2 How do Auto ads work? So, to resolve this problem, Google AdSense has came with the unique solution called ‘Auto Ads‘. Now, what you all need to do is just copy and paste the single piece of code in your website and Google will take care of the rest. Yes, google will takes monetization decisions on your behalf and save your time. Unlike normal ads, here you will not required to do anything. Google will take care of all things automatically. Confused, not able to understand it. No Problem, let us understand the same with an example. Assuming you’re using Google AdSense or you know about it, below example will clarify your doubts about Google AdSense. But, please refer the below article, if you are beginner and don’t known anything about Google AdSense. 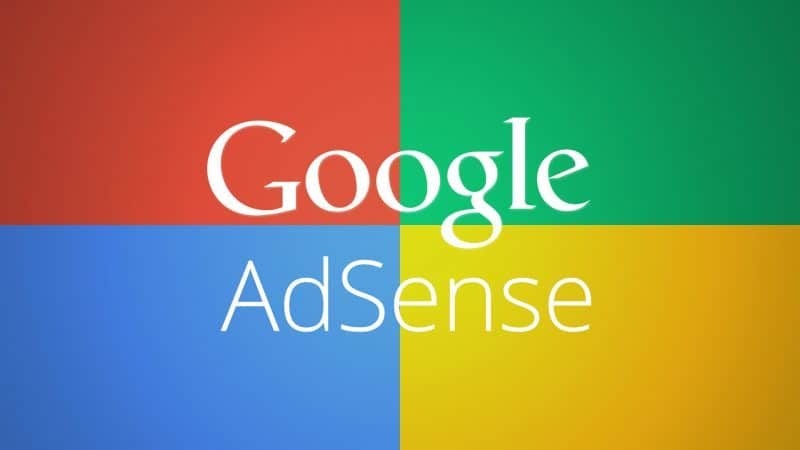 Now let us understand the Auto Ads feature of Google AdSense with an example. In Google AdSense, you will required to create an ad units for showing an advertisement on your website. Of course, Google allows you to manually control these ad units. For example, you can ask Google AdSense to show or block a particular advertisement or entire ad network. Google also allows you to select the appropriate size of ad unit for your website. But now, with the implementation of ‘Auto Ads‘, these all the things will be done automatically. Google will automatically decides Which, Where and How ads to be shown on your website. You will not have manually control on it. Of course, Google will show the most optimum ad on your website. Auto ads use machine learning to make smart placement and monetization decisions on your behalf, saving you time. 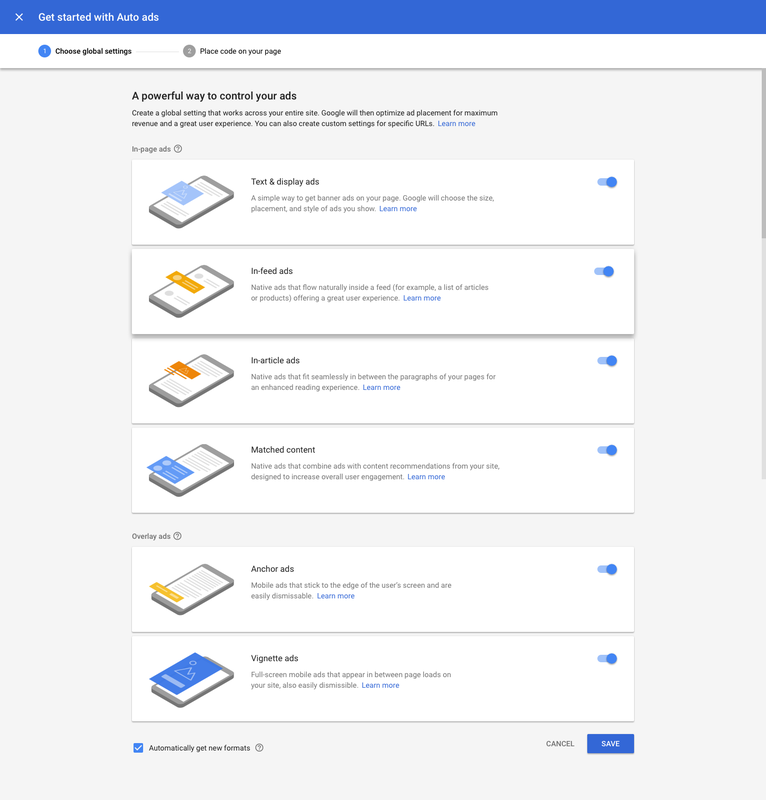 This new feature of Google AdSense, will work best for the publishers who are new and don’t know how to optimize AdSense to make more money from it. The best and optimized ads are shown only when they are likely to perform well and provides a good user experience. Google will automatically decides everything. So you do not needs to do anything in it. This will work best for the publisher who are new to Google AdSense. It is very easy to use. All you need to do is just copy and paste the code on your website. Further, you can control the ad types and formats with simple ON and OFF trigger. There is no need to change the code every-time. Its optimization techniques will potentially increasing your revenue. No need to worry about the AdSense policy anymore. Google Auto Ads will take care of all. Select ‘Auto Ads‘ under ‘My Ads’ from left Navigational Menu. Select the appropriate ad formats you want to show on your pages. Click on Save and copy the code. That’s it. It will create a auto ad unit for your website. Now copy the same and paste it in your website before closing </head> tag. 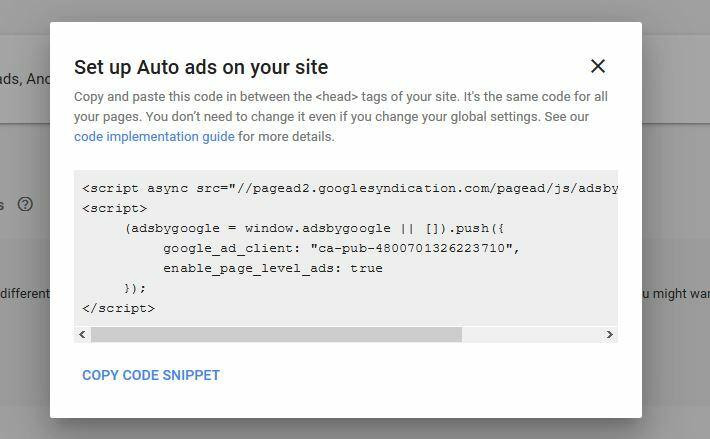 If you’re wondering where to paste the Auto Ads code on your website then this will help you. Copy and paste this code in between the <head> tags of your website. The logic behind pasting this code in between the <head> tag is that it will load on your every web pages of the website. Whenever you visit any web page on the website, it will first load the header file. Thus, if you placed the code in between the <head> menu then along with header file, your ads will also get loaded. There fore, Google advised you to copy and paste this code in between <head> menu. Yes, of course, you can even paste this code in your footer, but in that case it will get loaded at the last. This is because website always load from top to bottom and therefore the footer get load at the last. So, the <head> tag is the best and optimized way to show such ads on your website. Once you placed the auto ads on your website, it will start analyzing your web pages, finding potential space, and showing ads when they are likely to perform well. If you are using WordPress for your blog then you can paste the code in your header.php file before </head> tag. For other blogging platform, please feel free to contact us. You can share your message in the below comment box. Now your turn. If you are already implemented this new feature then please do share your experience with us. It will be a great help to others. You can also contact us if you face any problem in using Auto Ads by Google AdSense. We will be happy to help you.